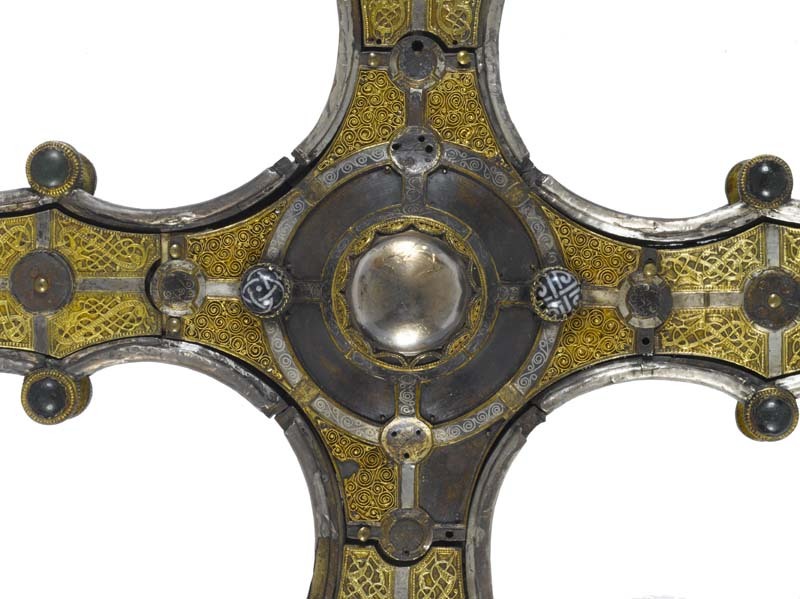 In March, 2010, the Cross of Cong went on display at the National Museum of Ireland – Country Life, Turlough, Co. Mayo. This was a historic occasion. For the first time since it left Cong in the 1820s, the Cross was back in Co. Mayo, displayed in all its beauty and magnificence. In fact, this was the first time that the Cross left Dublin since it went into the museum of the Royal Irish Academy all those years ago, despite Fr Pat Lavelle’s attempt to “liberate” it! 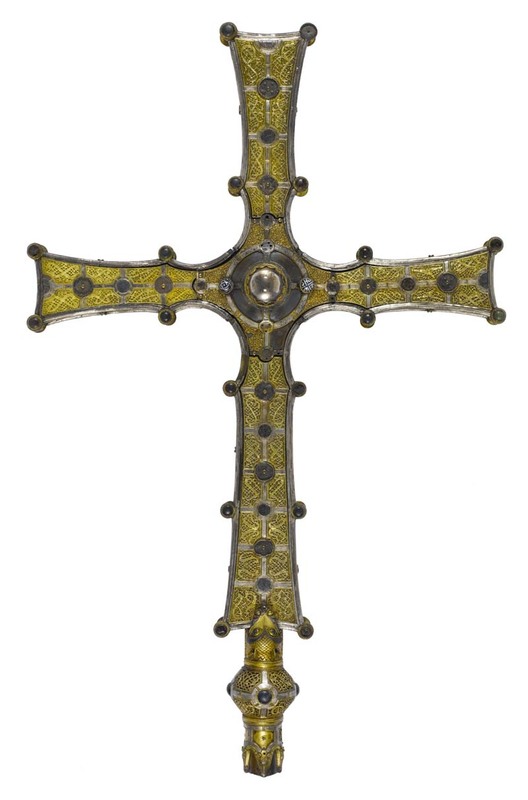 What a beautiful and historic object the Cross of Cong is. What is so extraordinary is that we know so much about the circumstances of its making. We know why it was made. We know when it was made. We know where it was made. We know who made it. We know who commissioned it. Between them, the Annals of Tigernach and the inscription on the Cross tell us quite a lot. 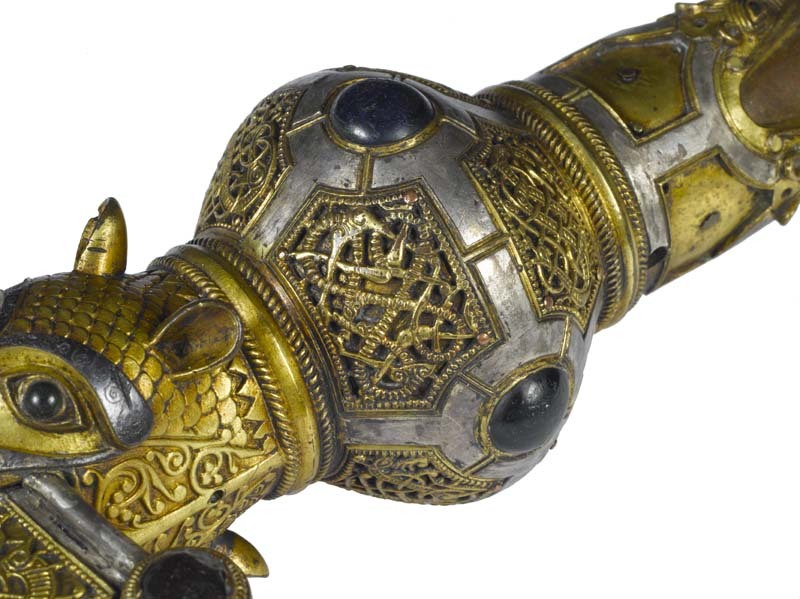 The Annals of Tigernach tell us that the True Cross was in Ireland in 1123, that it toured the country and that Tairdelbach Ua Chonchobair, Turlough O’Conor, the king of Connacht and King of Ireland, asked for, and was granted, a fragment of the True Cross and that he had a shrine for this fragment made in Roscommon. The fragment would have been visible under the polished rock crystal at the Cross’s centre. The shrine – i.e., the Cross of Cong – was commissioned in 1123, but probably took a while to complete – how long, we don’t know; maybe a year or two. It was made in the church of Roscommon. 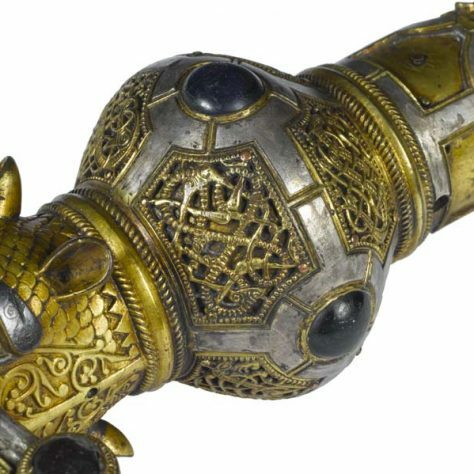 The craftsman who made it was Máel Ísu mac Bratáin Uí Echach; Máel Ísu was the master craftsman – he would have had a team of other workers with him. Two other people, both ecclesiastics, were also associated with the making of the cross. One was Domnall mac Flannacáin Uí Dubthaig, abbot of the churches of both Roscommon and Clonmacnoise – the man in whose church of Roscommon the work took place. The other is Muiredach Ua Dubthaig. The inscription on the Cross describes Muiredach as senóir Érend, the senior [ecclesiastic] of Ireland; it is difficult to know exactly what this title meant in the 1120s – probably just that he was the senior cleric in Turlough O’Conor’s court, although later he appears to have become bishop of Tuam, dying in Cong in 1150. What else can we say about the Cross of Cong? What is the connection to Cong? It is possible that the Cross was made for Cong. Cong was an important church patronised by the O’Conors in the twelfth century. It was recognised as a cathedral church at the synod of Ráith Bressail in 1111. Turlough O’Conor founded the Augustinian Abbey shortly after a fire there in 1137. Turlough’s son, Rory, the last high king of Ireland, died in Cong in 1198. Rory and a number of his sons and daughters lived in retirement in Cong. However, it is more likely that it was made for Tuam which was being patronised by O’Conor at the same time. Throughout the centuries, the Cross was in the care of the Augustinians in Cong. The historian Roderick O’Flaherty saw it in 1680 and he copied the inscription. George Petrie, the antiquarian, saw it in 1822. The last Augustinian Abbot of Cong was Fr. Patrick Prendergast, who was also the parish priest. The Cross was among his possessions when he died in 1829. His successor, Fr. Michael Waldron, sold the Cross to mathematician James MacCullagh for 100 guineas. Fr Waldron used the money for the repair of the church roof. MacCullough gave it to the Royal Irish Academy in 1839. Another parish priest of Cong, Fr. 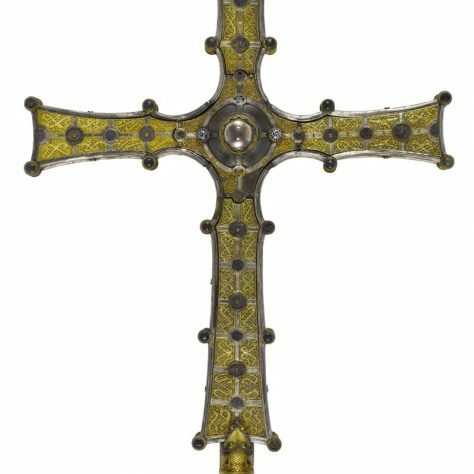 Patrick Lavelle, attempted to steal the Cross from the museum in the Royal Irish Academy to return it to Cong around 1870. He walked into the Academy and asked to see it. Lavelle tucked the Cross under his cassock and walked out with it. However, he was caught and arrested before he got to the railway station. 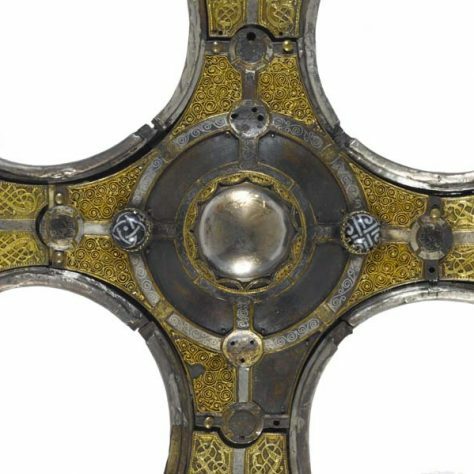 The Cross has now returned to the National Museum of Ireland – Archaeology, Dublin, where it can been seen in the newly refurbished ‘Treasury’ exhibition.